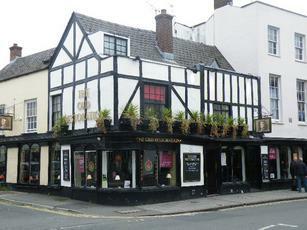 Claims to be Cheltenham's oldest pub. As you enter, there are low ceilings and it does look as if it is fairly old. 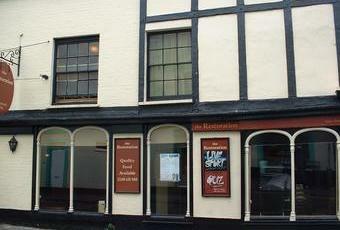 The bar itself is at the rear, where the pub opens out somewhat. Despite its age, it has been modernised and has lost much of its character. Nevertheless there is a good range of ales and ciders here. On my visit there was Cotswold Lion Old Restoration, Hook Norton Old Hooky, Prescott Super 6 & Goffs White Night & Lancer. The 2 real ciders were Celtic Marches Abrahalls Medium & Lilleys Darkcider. With the Wetherspoons just round the corner, the Strand (not listed on here, but another excellent pub) across the road and the Sandford Park Alehouse further up the rood, you can do an excellent short pub crawl here. Empty early Saturday, good choice of beers on and the one I tried was very good. Would pop in again if in Cheltenham. After the fire, moved the bar and more space. Lovely bar staff and good beers and football always on, though inevitable trouble when M Utd play, its generally very friendly. One of the oldest and best pubs in Cheltenham! Good Local pub in the centre of town. there is always plenty going on here. There is a good selection of Real Ales and Ciders. The staff are always polite and friendly and the landord is a breath of fresh air for Cheltenham in that he actually cares about the quality of his drinks and the fact that people are enjoying themselves in his premises. We hope that they will continue for many years to come ( as long as the prices don't keep rising). Very wide - perhaps too wide - selection of ales, but most customers seemed to be drinking lager. The old-worlde exterior belies the modernistic interior. Gives the impression of trying to ape Wetherspoons.